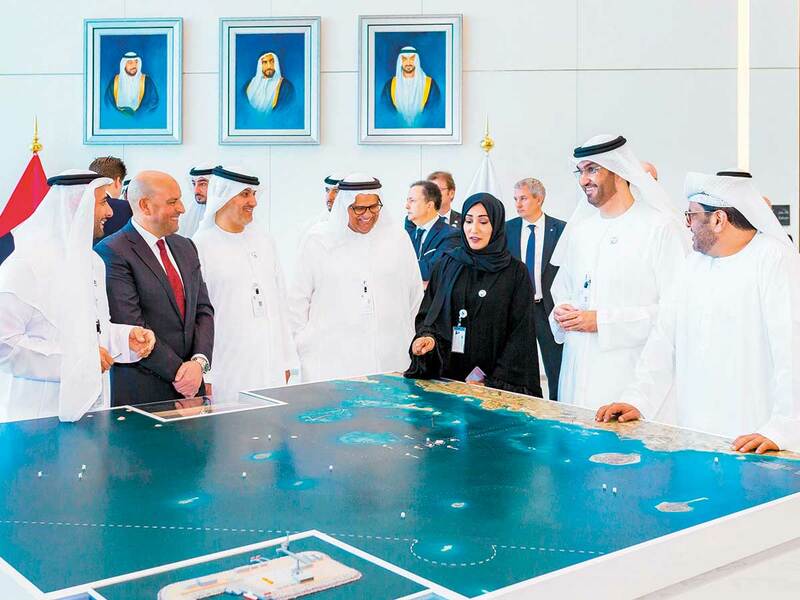 Abu Dhabi: Abu Dhabi National Oil Company (Adnoc) on Wednesday awarded Dh5 billion contract to the UAE’S National Marine Dredging Company (NMDC) for building multiple artificial islands in the first phase of development of the Ghasha Concession. The announcement comes as UAE pushes ahead with its plan to become self-sufficient in gas production and possibly a net exporter in future. “This award accelerates the development of the Hail, Ghasha and Dalma sour gas offshore mega-project, which is an integral part of Adnoc’s 2030 smart growth strategy. As one of the world’s largest sour gas projects it will make a significant contribution to the UAE’s objective to become gas self-sufficient and transition to a potential net gas exporter,” said Dr Sultan Ahmad Al Jaber, UAE Minister of State and Adnoc Group CEO, in a statement. The project is expected to take 38 months to complete and will provide the infrastructure required to further develop, drill and produce gas from the sour gasfields in the Ghasha Concession. At peak construction, the project is expected to employ over 3,500 people. NMDC will mostly local suppliers, manufacturers and workforce, resulting in a total local spend of over Dh3.62 billion ($1 billion). NMDC will also work with international partners to deliver the project. “Enhancing In-Country Value is an important part of our work plan in the National Marine Dredging Company, as it is for Adnoc,” Mohammad Thani Murshed Al Rumaithi, chairman of NMDC said. Adnoc recently awarded stakes in the Ghasha Concession to Italy’s Eni (25 per cent), Germany’s Wintershall (10 per cent) and Austria’s OMV (5 per cent). The mega-project is expected to produce over 1.5 billion cubic feet of gas per day when it comes on stream around the middle of the next decade, enough to provide electricity to more than two million homes. In addition, more than 120,000 barrels per day of oil and high-value condensates are expected to be produced. According to Adnoc, artificial islands provide significant cost and environmental benefits, particularly in shallow water, by enabling the use of lower-cost land-drilling rigs instead of high-cost offshore jack-up drilling rigs. They also provide greater flexibility for extended reach drilling when compared to offshore rigs. The use of artificial islands will eliminate the need to dredge over 100 locations for wells and provide additional habitats for marine life.